Windows maker regains third place behind Apple and Amazon. For the first time in three years, Microsoft has managed to climb ahead of Google's parent company Alphabet in market valuation. The company is now valued at $753bn while Alphabet is valued at $739bn making Microsoft the third most valuable company in the world after Apple and Amazon. However, this will likely on be temporary as Google and Microsoft have traded places several times since Google first claimed the lead back in 2012. In the five years since former CEO Steve Balmer announced his retirement and Satya Nadella took over the company, Microsoft has more than doubled its stock price. Nadella shifted the company's focus to cross-platform technologies, AI and the cloud with the goal of securing its position as a leader in quantum computing and mixed reality headsets. He also shuttered Microsoft's Windows Phone division and moved the firm away from the idea of having Windows at the centre of its offerings. While Microsoft is still far behind Apple's market valuation of $923bn and Amazon's $782bn market cap, the company has a much more diverse portfolio of products when compared to its competition. 90 per cent of Google's revenue is earned from advertising while 60 per cent of Apple's revenue relies solely on its iPhone business. 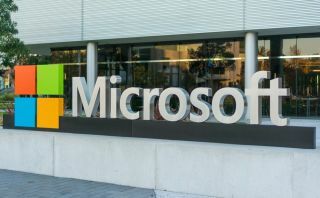 Microsoft on the other hand, earned 35 per cent of its revenue from its Windows, Surface and gaming divisions, 30 per cent from its cloud business and 30 per cent from Office and its other productivity software. Currently the company's shares are close to passing $100 and it is believed by some analysts that its cloud business could even double in the next few years. Microsoft may be in third place for now but its wide range of products and services make it a safer bet than its competition.